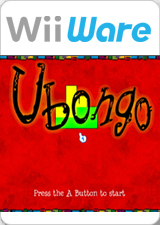 What's Ubongo? Its mechanics are very simple. Just solve as many puzzles as you can and get gems of the same color. At the end of the established time, the player who has the most gems of any one color will be the winner. Modes include History Mode, Quick Game, Time Attack and Multiplayer Mode. The original board game is a blockbuster in many countries. The graph below charts the compatibility with Ubongo since Dolphin's 2.0 release, listing revisions only where a compatibility change occurred. This page was last edited on 25 January 2018, at 08:53.